This walk through far northeast D.C. travels through the quiet, settled 1950s neighborhood Eastland Gardens and past historic 1930s apartment buildings, following the eastern bank of the Anacostia River. 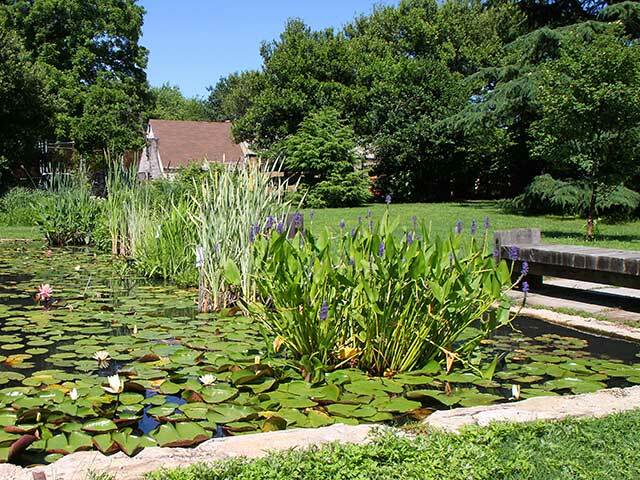 A highlight is the Kenilworth Aquatic Gardens, the only U.S. National Park devoted to aquatic plants. Founded in the late 19th century as a hobby for a government worker, the gardens have grown to become one of the most beautiful and least known attractions in Washington, D.C. Besides seeing its famous water lilies, you’ll stroll the boardwalk over river wetlands, looking out for herons and dragonflies. July is peak time for blooming water lilies! Saturday, July 27, 2019 at 11:00 a.m.
Embarks from inside the Minnesota Avenue Metro station just beyond the turnstiles.